First year that fuel injection and a four speed manual transmission are offered. 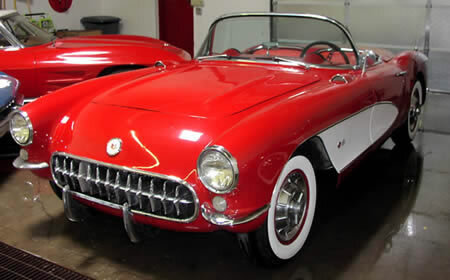 1957 Corvette was last year for single head lights. 1957 was first year for the 283 ci engine.